In case you've been looking for him, the Dark Knight isn't in Gotham City right now. He's in my house. 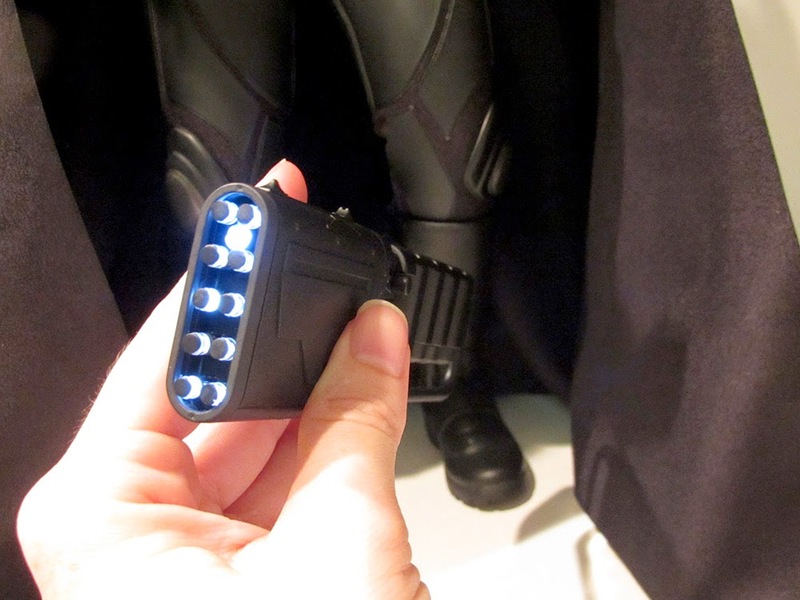 Sideshow Collectibles saw the Bat-Signal and shipped Hot Toy'squarter scale Batman figure to me. He's living the good life now because all he has to do is look amazing. There aren't any bad guys to fight here. As per usual with Hot Toys, the quality is over the top from the carefully sculpted cowls to the surprisingly soft cape to sharp batarangs. 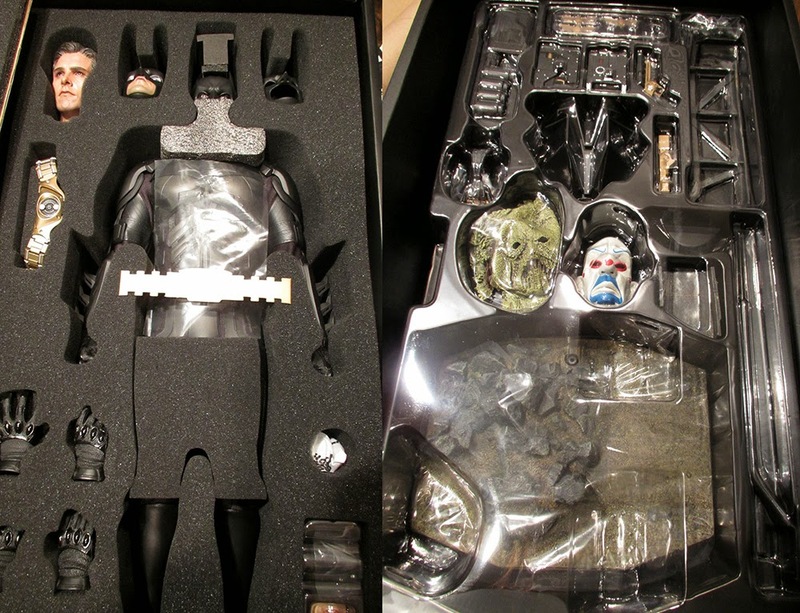 Packaging: Batman was packaged with the utmost of care - every small accessory had its place. 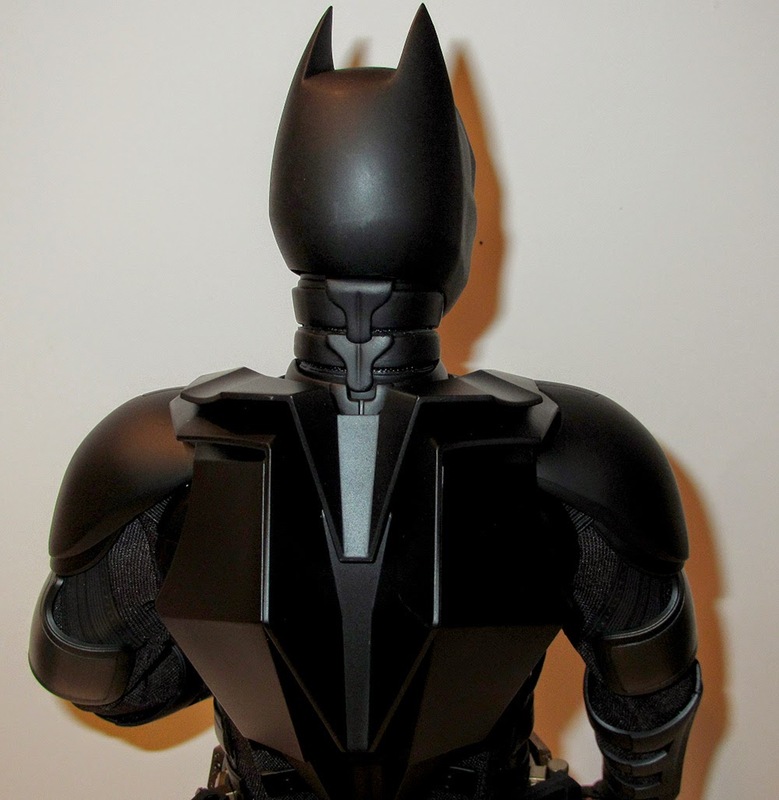 The figure, cowls, hands, and utility belt were nestled in soft foam. Underneath the foam section I found the figure's base, sculpts representing a few of Batman's rogues gallery, and plenty of weapons to make sure Batman can take care of any villains he encounters. One of my favorite things about Hot Toys' packaging that was especially on display here was that every nook and cranny was made for a specific piece. It makes it much simpler to put everything back where it belongs - like the opposite of trying to refold a map. I like knowing I have a proper place to store all the pieces when they're not in use. Sculpt/likeness/paint: This figure couldn't be more Batman if it tried. 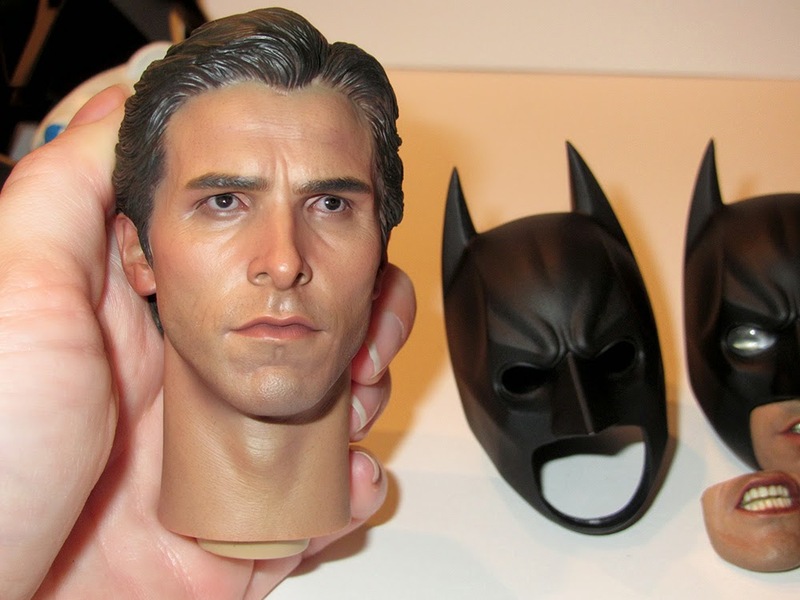 The head sculpt looks a startling amount like Christian Bale's Bruce Wayne. There are wrinkles, and the skin texture is realistic. The cowls are equally impressive. 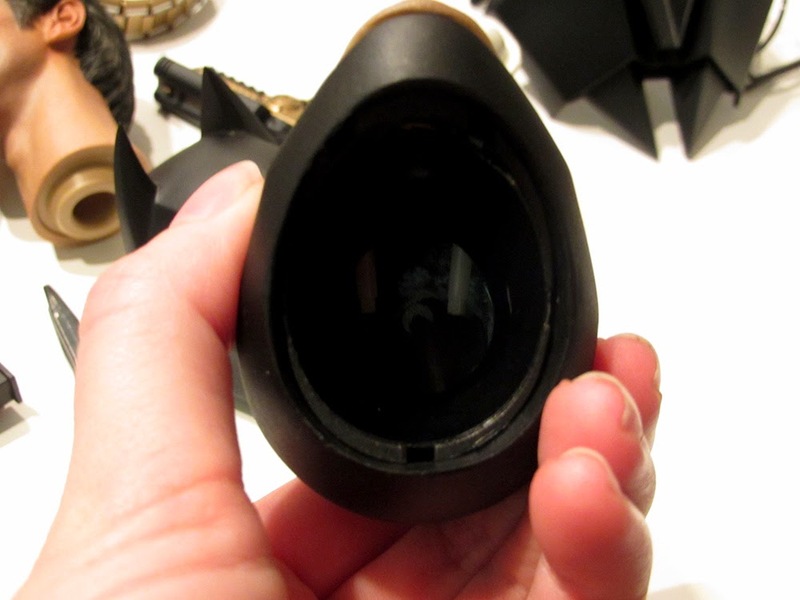 One aspect that blew me away and fascinated me is that you can adjust the eye movement by moving rods inside the mask! And this a weird thing to focus on, but the eye lids were perfectly done. 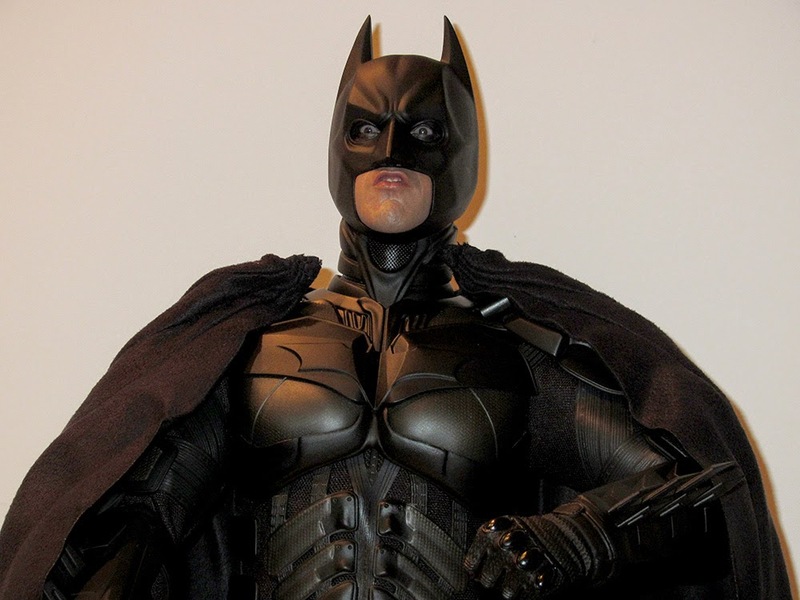 The chin portions of the cowls are interchangeable. 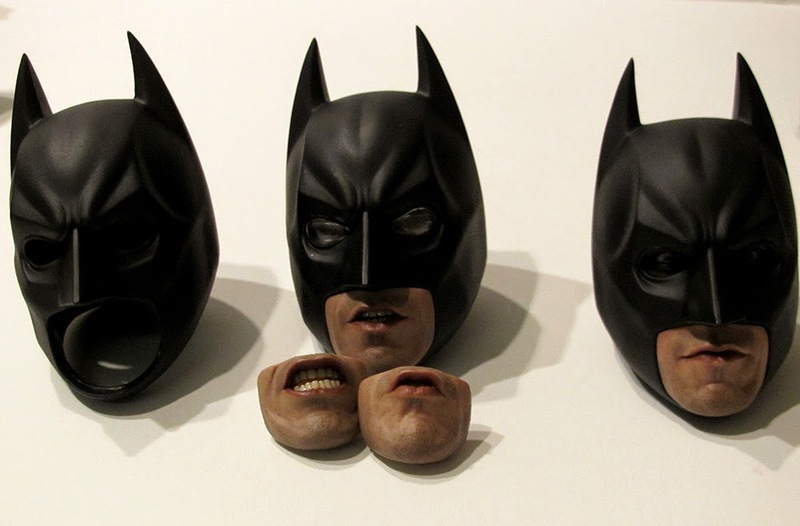 All you have to do is use a tool that comes with the figure to pop the chins out - it's simple and fun to give Batman different expressions. The lips and teeth are spot on. And the various cowls attach to a base with magnets. It makes it incredibly easy to change them up, and I like that method better than popping the head on and off. 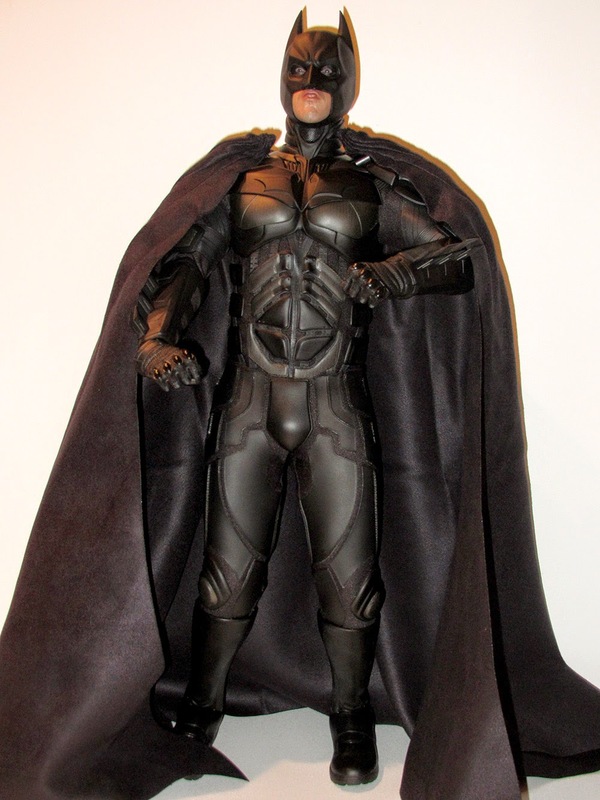 Clothes/suit: The Hot Toys Batman has the softest cape in the world. I'd like to enlarge and borrow it. 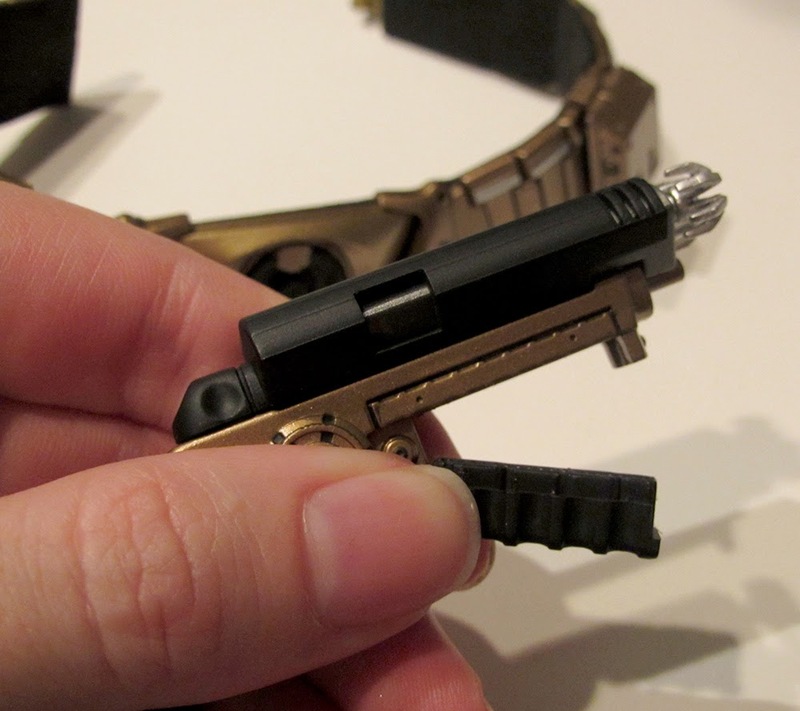 It snaps into place on Batman's shoulders with ease, as does the plastic flight pack. 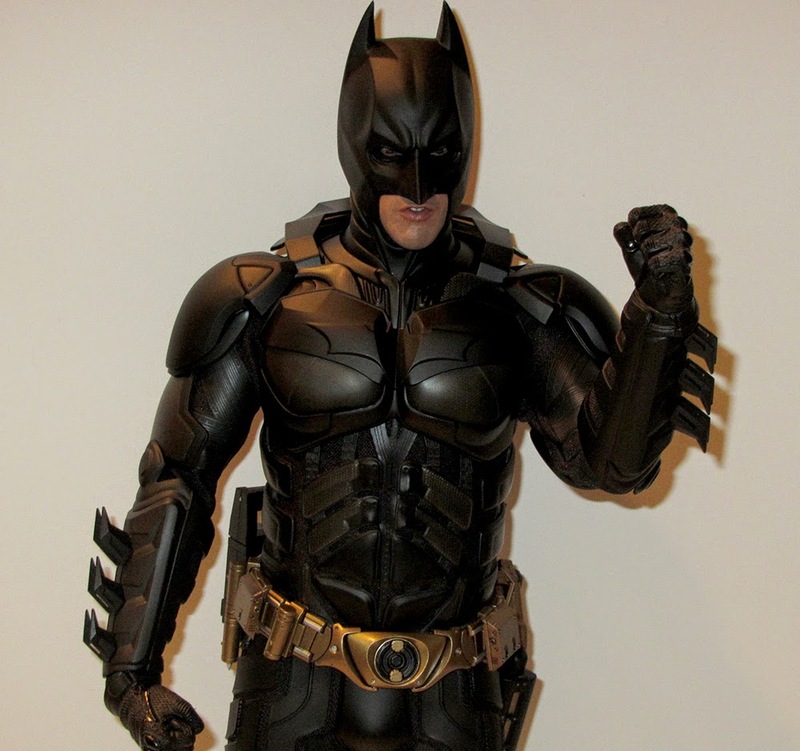 The suit is sturdy (fabric covered in armor) but also pliable and moves easily when you pose the figure. The different textures match what you see on screen, and they catch the light differently to make Batman extra pretty. 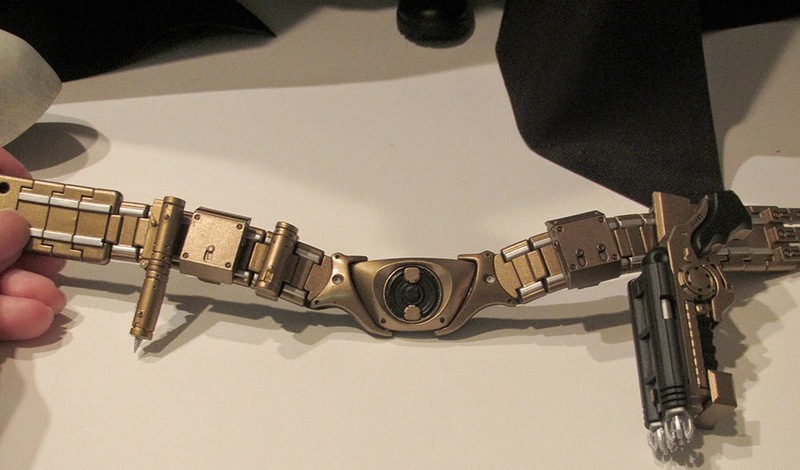 The utility belt fits snugly around Batman's waist. It has a little stretch to it, but it doesn't slip once you snap it into place. Accessories: As I've mentioned before, the accessories are always my favorite part of a Hot Toysto dive into and the ones that came with Batman didn't disappoint. 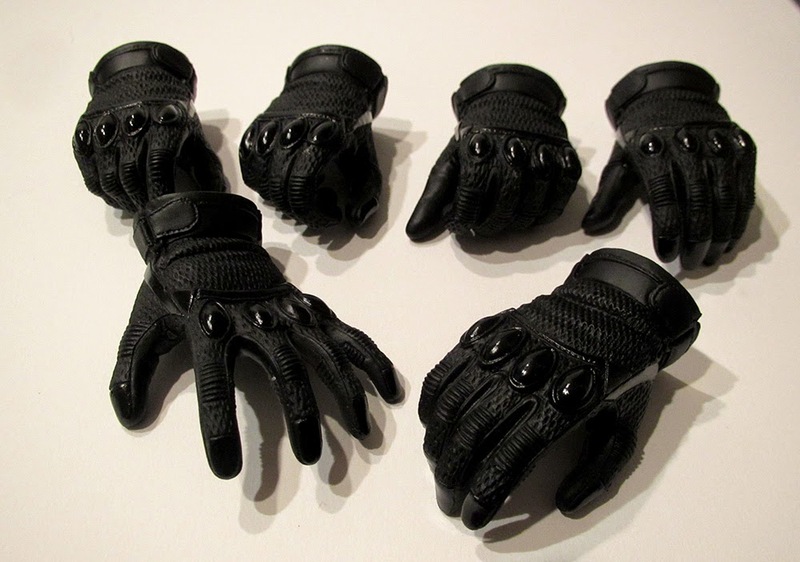 They include several pairs of gloved hands, a grapnel gun with bullets, a sticky bomb with several moving parts, a light-up EMP rifle, an itty bitty mine, three batarangs, a nicely painted figure stand that mimics a scene from the film, an ultrasonic cutter, a radiation detector, and the masks of Bane, Joker, and the Scarecrow. WHEW. Going through all the extras was like opening boxes within boxes and continuing to find surprises. 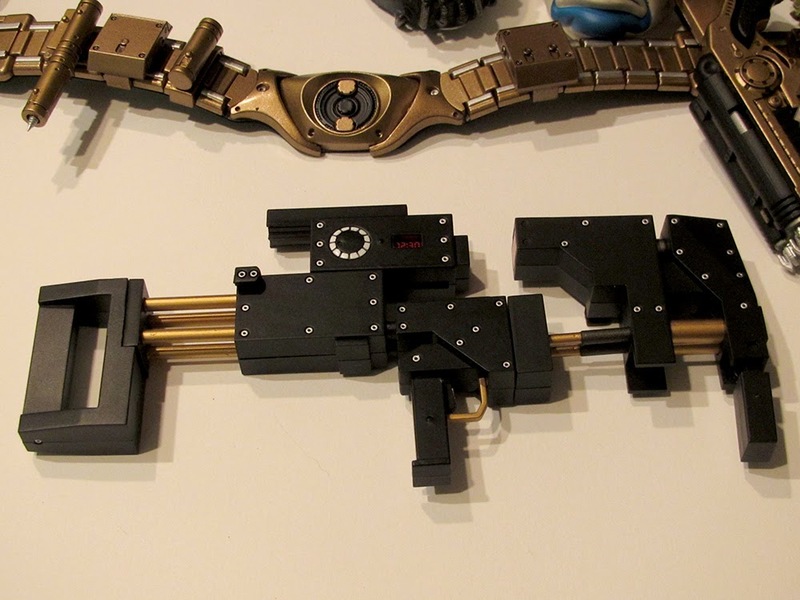 Everything that went with the utility belt clipped on with ease. Anything that had moving parts - like the sticky bomb - moved fluidly. The technical details: Height - 18.5 inches, head sculpted by Kojun and Kim Yong Kyum, head painted by JC.HONG, and head art directed by Kojun. The body has over 32 points of articulation. If you're a Bat-fan, this collectible is sure to please you. You can order Batman Quarter Scale Figure by Hot Toys from Sideshow Collectibles for $464.99. See more photos of the figure at my Flickr page. 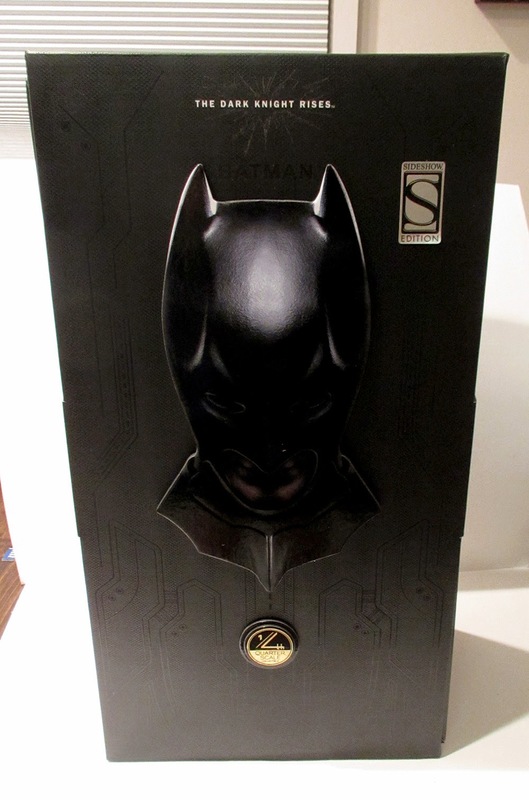 Full disclosure: Batman was provided by Sideshow Collectibles for review purposes. This did not affect my review of the product. Another great review. I didn't realize how big this figure was going to be. Thank you! And yes, it's definitely a bigger piece than I was expecting too! I love Your Contextual Revelant Information For Me , I encourage You To write This Peices Of paradise For everyone.